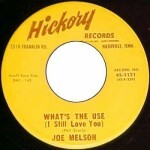 Scans from Joe's 45 singles, mostly from the Hickory Records label. 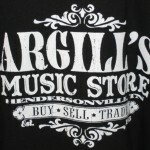 These are some pics from Argill's music store in Hendersonville, Tennessee. Joe has his guitar serviced here. Great people! 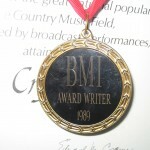 Not only is Joe a "legendary" singer-songwriter, he's an "award-winning" singer-songwriter. His awards are many, so many we haven't got them all on this website yet. But here are some to give you an idea of what he has accomplished throughout his long career. 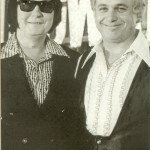 Joe was writing music in West Texas before the Roy years. In some of these pictures Joe had no idea of the things to come. 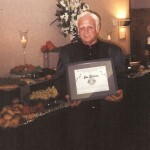 Some fond memories of Joe and his friends, mostly from awards ceremonies. 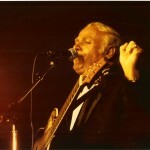 Joe performed in Jackson, Tennessee on August 3 2006 at the International Rock-a-Billy Festival. His back up band was Sammy D & The Zone. Practice started June 3 in Hendersonville, Tennessee, in a little cafe. Then they went on to rock the show in Augusts. 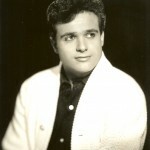 2002 was a memorable year for Joe: He was officially inducted into the Rockabilly Hall of Fame. Here are photos from the ceremonies and from the Willie Nelson Museum. 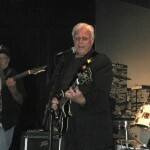 Joe rarely performs anymore, but don't despair! We do have some pictures from very early to most recent performances and will add to this whenever we have new pictures!